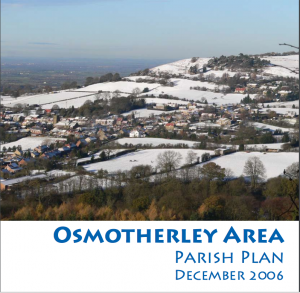 The Osmotherley Area Parish Plan has been prepared by the people of the local villages to allow them a voice in any future decisions about their area. The conclusions are based on all the responses to the questionnaire distributed in 2005, and the actions proposed are what we think are needed to respond to the views expressed. This attached booklet is a summary of the main issues. The complete list of proposals and background information are detailed in the Fact Book (see page 24). The Parish Plan comprises this booklet and the Fact Book together.